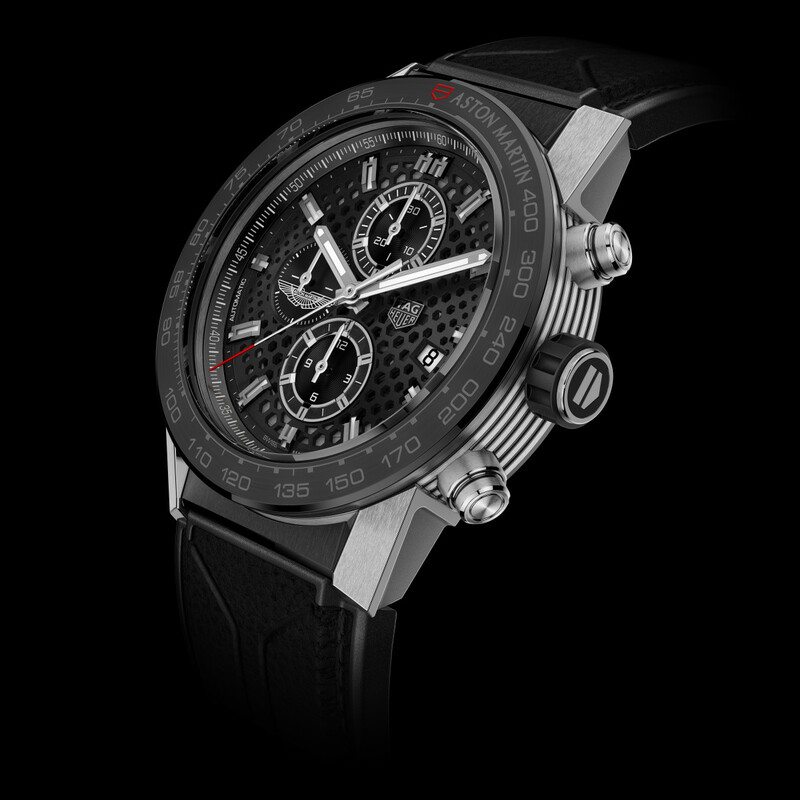 With a deep history in racing, Tag Heuer could not be a more perfect partner for Aston Martin. 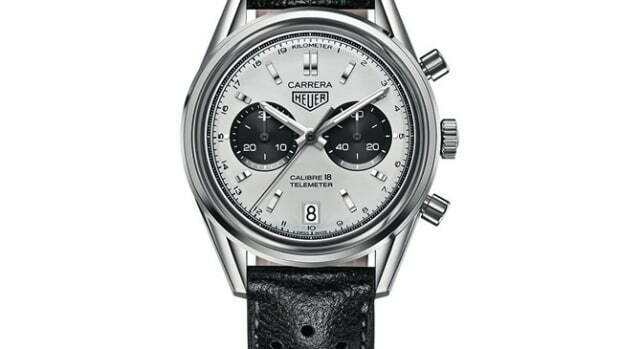 The two companies have announced their official watch partnership and their first flagship piece is a special edition Carrera Calibre Heuer 01 chronograph. 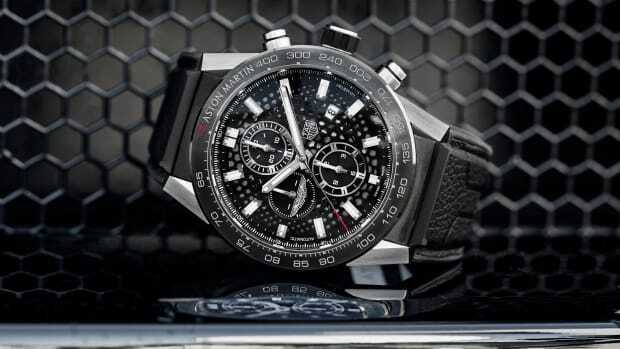 The watch features a skeletonized dial with a hexagonal pattern inspired by the new Vantage and a 45mm stainless steel case with speed-inspired parallel line patterns on the side of the case and a black ceramic tachymeter bezel. 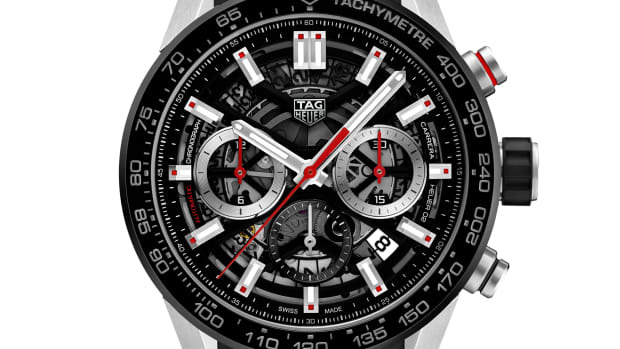 Other details include a black PVD and sapphire case back, a Calibre Heuer 01 Automatic movement, and a matte black rubber/leather strap.